If you are thinking about researching video trends, we have got you covered. By looking at what worked in the past, and the kind of videos people have been paying attention to, we have come up with six exciting and most importantly doable trends for this year. 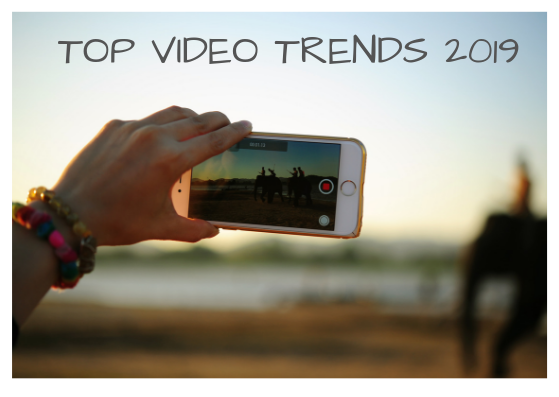 We hope that these trends will help you plan your video campaigns for more effective results. Videos are continuing to captivate people’s attention, and it’s just going to get better this year. Cisco’s Visual Networking Index Forecast states that by 2021, 80% of internet traffic will be dominated by videos. Live videos, augmented reality and virtual reality content will also increase significantly in the coming years. What did we learn from the past? Why? After reading Cisco’s predictions above, we are sure you don’t need further convincing when it comes to living videos. Vimeo’s blog post on the best of 2018 stated that -“Four of esports’ biggest events garnered 190.1M hours (a cool 21,700 years, if you’re counting) of live streams in 2018 (SportsPro)”.Not only are people viewing more of such interactive videos, but they are also streaming more live videos. But it’s not just the high numbers that should get you on board with live videos. Research has shown that consumers prefer to watch live videos of their favourite brands as compared to prerecorded ones. As a company, they give you instant access to consumer reaction. Points to Ponder —While live videos, sound like an easy trend to get on, they do require a lot of planning and forethought into the content for effective results. You could either host an event and invite speakers, or give a behind the scenes look at your brand. Live videos present an immense opportunity if you plan them well. Why? From Facebook stories to Snapchat to Instagram, it’s getting impossible to turn away from stories once you know someone has shared a special moment of their day. Insta Stories is becoming everyone’s most preferred choice. More importantly, stories are short and effective. Your brand gets that instant reaction from its followers. Points to Ponder–Most popular Instagram story types for brands are merchandise display and an inside glimpse of the company’s happenings. Most industries when it comes to stories are Fitness and Fashion. So if your brand relates to these categories it might be time to add sneak peeks of your merchandise through short interactive video stories. Why? Sponsored posts on Instagram will reach 32M in 2019. Through interactive videos on their feed, influencers can give your brand a more relevant audience who are definitely interested in your products. As Socially Sorted explains, showing the human side of your business is extremely important. 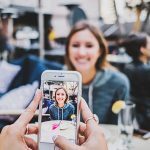 Points to Ponder–Influencers and ‘Social Media Takeovers’ by guests can help you bring in that human side of your business. You can also set up live interviews and sessions with influencers, for your interactive video content. These are often easy to plan and execute, and they combine the live aspect with influencer marketing. Why? Interactive video engagement does not have to simply be about showcasing your products or streaming an event, live. You have to think outside the box while strategising content. Can you explore interactive videos in an area where they have not been used previously, for your brand? Will that gets people talking about your brand? Points to Ponder— “Will you fit into Deloitte?” an interactive recruitment video by the company gives us a glimpse into the company’s culture. By answering a series of questions on what action the viewer would take, this interactive video also helps potential Deloitte aspirants understand if they are suitable for the organisation. Did you ever think recruitment and interactive video strategy could come together? In 2019, you need to push the envelope and get creative on how you can use interactive video engagement for better visibility of your brand. Why? Interactive videos are getting bigger and better, which means you need to keep up. Remember everyone is looking at videos, and you will be competing not just for your brand, but also for the kind of content you put out there. Quite simply, your viewers will be expecting more from you. Points to Ponder— Augmented reality, projection on a 3-D surface, 360-degree videos- consider ways to make your interactive videos more and more engaging. Check out this video showing the 3D and Holographic Projection of Coca-Cola’s One Brand. This video shows the impact such projections can have on your brand image. As you start incorporating interactive video ads in your content plan, think about ways to get your viewers excited about your content. Why? Interactive videos in your emails make for excellent marketing strategy as they immediately draw the viewer’s attention. People do respond positively to the brand after watching a video. As a viewer yourself, simply think about how much time you will spend on a long email, as opposed to a brief one with a video that says it all. Points to Ponder— If you do decide to include videos in your email make sure they are well curated, short and have content that resonates with the people who trust your brand. Host the same video on other platforms to give your videos more visibility. Why? Well, now that you know everyone is looking out for them, there is no questioning this trend. You just need to increase your video content to match your audience’s expectations. Points to Ponder— More videos should not impact the quality of your content. If you feel too much pressure in creating more video content, break down your content plan to alternate between different forms. You can recycle some of your blog posts into videos, which will also help you emphasise some of your brand’s key features. Most importantly, have fun making them! So there you are. Your interactive video plan for 2019- Go live, use social media stories for merchandise display, invest in influencers, email catchy videos and create unique, trendy and better video content! Most importantly, create more videos! As you sit down to chalk your interactive video marketing plan make sure you read through Hubspot’s ‘The Ultimate Guide to Video Marketing’. It has many tips and pointers that will help you create effective videos. Videos are no longer just about views. They are about experiencing your brand and giving your audience a taste of what they would be getting with your products. It’s time to get creative with your videos this year.